A Southwest plane that was on its way to be grounded had to make an emergency landing at the Orlando International Airport on Tuesday, Fox News reports. 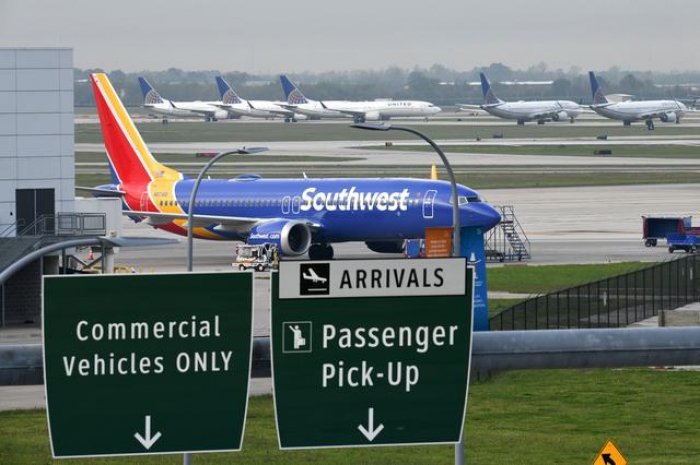 A Southwest Boeing 737 Max took off from Orlando International Airport at 2:50 p.m on Tuesday. Airport officials said that it experienced a malfunction and had to return to Orlando for an emergency landing. The Federal Aviation Administration (FAA) said the plane experienced an engine problem. Officials went on to say that there were only two passengers: a pilot and a co-pilot. The plane landed safely and the FAA is investigating. The plane, Southwest Flight 8701, was being ferried to Victorville, California to be grounded, the FAA said. President Trump previously ordered that all Boeing 737 Max 8 and 9 aircrafts be grounded after one crashed in Nairobi, killing 157 people. Six of those planes, including five Southwest planes, were grounded at the Orlando International Airport. Southwest says that they are committed to safety during this time.